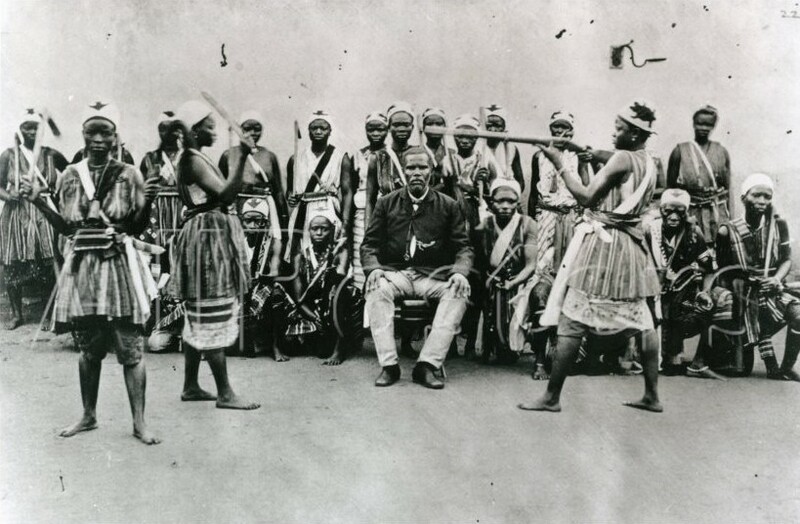 The Mino, or “Our Mothers”, were an all-female military regiment of the Dahomey Kingdom in western Africa during the 17th to 19th centuries. They were initially established as a royal bodyguard armed with muskets. They were later developed into a fully-fledged militia who were deployed in Dahomey’s war against the neighbouring kingdom of Savi in 1727. The Mino came to be a semi-sacred order, recruited from foreign captives, Dahomian free women and the king’s own wives. Subject to intense physical training and armed with Danish guns, the Mino developed a reputation as disciplined but ferocious fighters who beheaded their enemies on the battlefield. By the mid-19th century the regiment numbered in the thousands and made up a third of the Dahomey army. In 1890 the Mino were deployed in the First Franco-Dahomean War. The French sustained heavy losses to the Mino and French Foreign Legionnaires later wrote of the “incredible courage and audacity” of the ‘Dahomey Amazons’. Despite this, Dahomey’s forces were ultimately crushed by the French use of machine guns, cannons and cavalry. The last Mino is believed to have been a woman named Nawi who died in 1979.